As the Convention prepares to adjourn for the Independence Day holiday, there is a great deal of anger and frustration in the room. Luther Martin expresses it best when he says that the convention hangs by no more than the width of a human hair. To move forward, a committee of Eleven is chosen to come up with a compromise plan to present after the break. 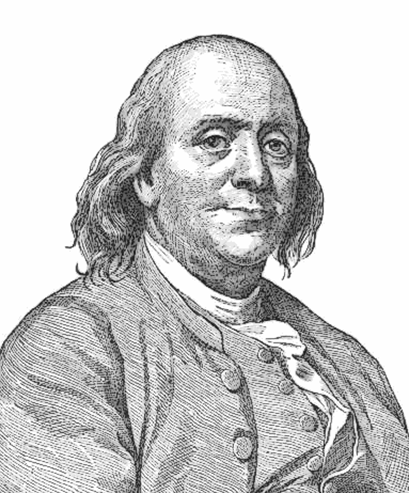 Dr. Benjamin Franklin will lead the committee, which – over the objections of Madison and Wilson – is stacked with small State supporters. Can he get them to agree on a compromise that will please both the convention and the nation, which is waiting with great expectations to celebrate the new government and the Independence Day holiday? Posted on July 2, 2015, in Constitution, Dave, Podcast, The Convention and tagged Benjamin Franklin, Compromise, Constitution, Convention, Independence Day. Bookmark the permalink. Leave a comment.